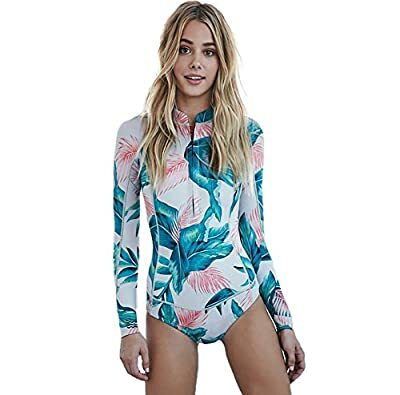 Lynddora's floral one-piece/one-set rash guards are designed to offer the best look, comfort, and usability. This rashguard is made with high-quality materials which are super soft, stretchy and light weight. We know you want to live a healthy life. That is why we work hard to choose the best material that does NOT require any chemical treatment. 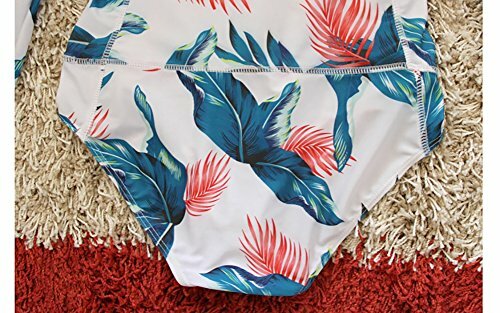 This swimsuit features a fashion looking floral design and unique one piece design. 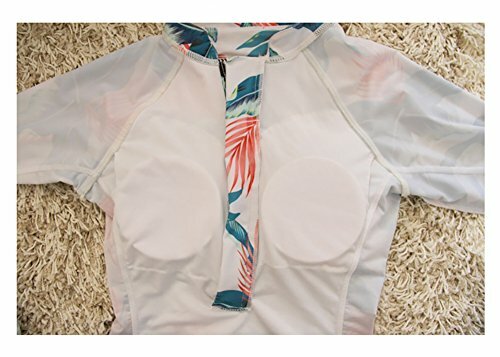 This rashguard includes soft bra cup. You do not need to wear anything inside when you go for your activities. The UPF 50+ protection for this long sleeve/sleeveless one-piece rashguard will protect you from harmful UV radiation. Please choose to buy from Sportsity. Sportsity will include a limited one-year warranty for this product against manufacturing defects in materials and workmanship. Should you have any issues, please contact us through e-mail. 1 x One piece rashguard. NOTE: Tag are labeled with Asian sizing, please choose the corresponding US size. Beautiful floral design, wide variety of variation. Include soft bra cup. Wirefree. Tighter fit, quick dry, comfortable and durable for long time use. High quality soft and breathable fabric. Machine wash on gentle cycle, tumble dry.